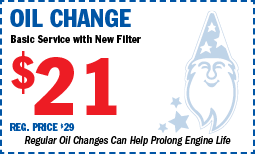 Merlin's “A to Z” service menu includes the repair and maintenance your vehicle may need to reach 200,000 miles and beyond. 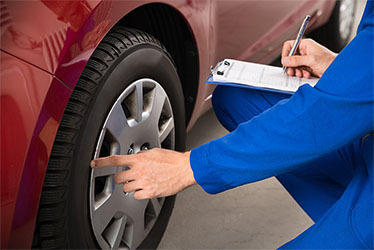 Merlin helps "smart" motorists go farther by providing preventive maintenance, brake service, exhaust, fluid exchanges, oil changes, suspension service, tire replacement and more. Since 1975, Merlin has been dedicated to helping customers and their vehicles go farther. Let us help you enjoy the full life of your vehicle with our DRIVE FOR 200,000 MILES, an easy, affordable, and comprehensive “vehicle longevity” program. Whether your mileage goal is 20,000 or 200,000 miles, Merlin will keep you safe on the road with everyday repairs, DRIVE maintenance, tire services and more. Merlin offers a 200,000 Mile Transferable Brake & Muffler Warranty and a 200,000 Mile Tire Warranty that sets us apart from others. Because my car is now beyond its warranty, the time came for me to look for a shop other than the dealer to service my car. I was hoping to find a place that cared just as much, and I did when I found Merlin 200,000 Miles. The workmanship was fantastic and the price seemed fair. I definitely plan to come back when I need service. Thanks again! 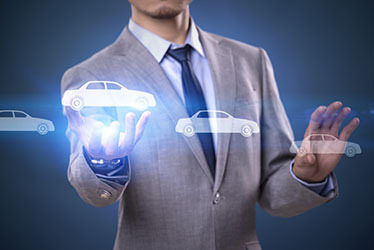 Join Merlin's ALLIANCE rewards to earn valuable dollars toward future service and tires! 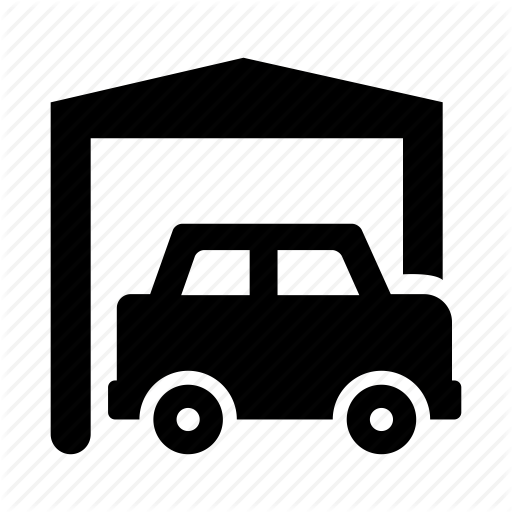 Visit your Personal Online Garage for service history, coupons, reminders and more! Merlin 200,000 Mile Shops assist Children’s Home + Aid, their charity partner, with much needed donations of warm winter clothing for the 40,000+ children they serve yearly with the Snug Hugs for Kids clothing drive. 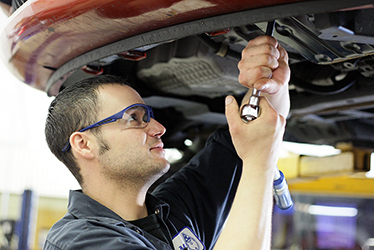 Merlin cares about building relationships with customers more than just fixing cars. Merlin provides franchisees a proven operating system along with marketing, training, and field support which helps franchisees serve customers that will consistently return. 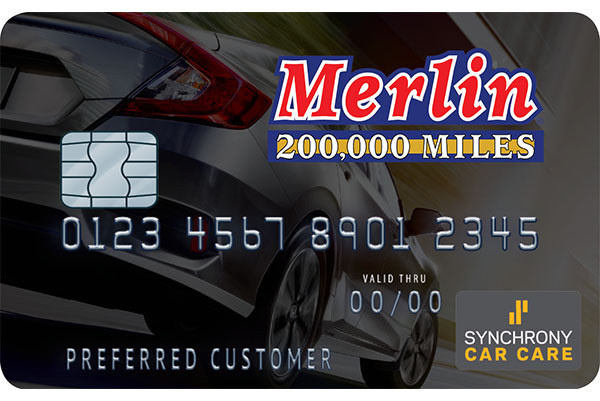 Merlin offers special financing with the Merlin 200,000 Miles Credit Card. The no annual fee card offers free roadside assistance for one year and several interest free financing options on qualified purchases with minimum monthly payments. 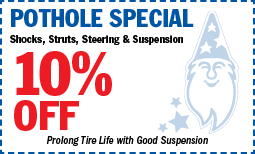 We stand behind the product and services we sell with a 200,000 Mile Transferable Brake & Muffler Warranty and a 200,000 Mile Tire Warranty. It's another big difference in doing business with someone who cares. 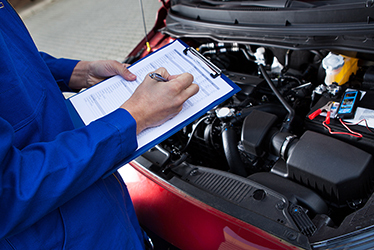 For more information, click below to connect with our customer service team. FREE Shipping to your local Merlin Shop. 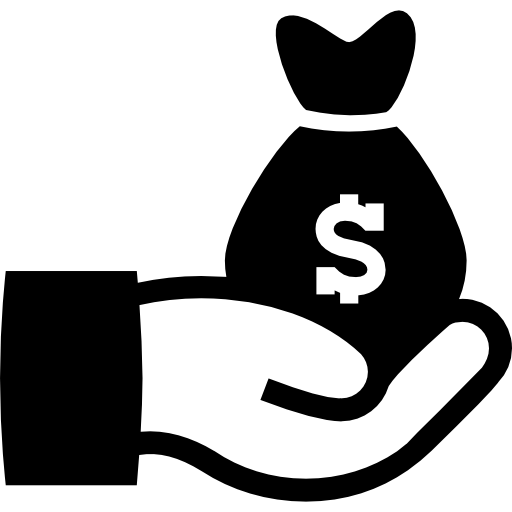 Installation and payment in as little as 24 hours. 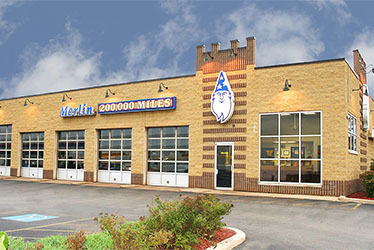 Merlin's 200,000 Mile Tire Warranty for Continental & General Tires. 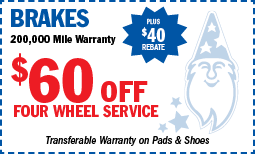 ALLIANCE Rewards apply toward Continental & General Tire purchase.